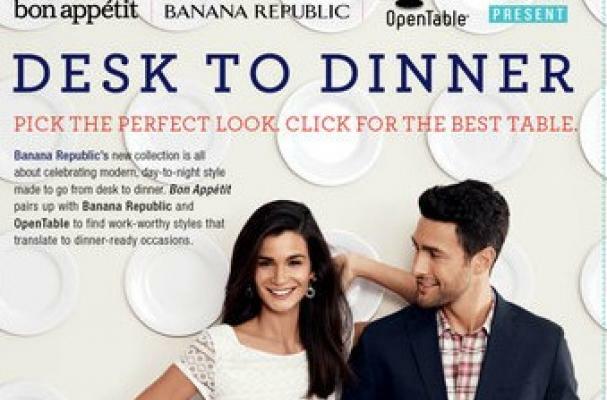 Banana Republic and Bon Appetit magazine, along with Open Table, have teamed up to launch a new clothing line titled "Desk to Dinner." The line is scheduled to be released next week and will be promoted through social media (Facebook, twitter etc..), print ads, Banana Republic store windows, and more. The clothing is designed to function as office attire as well as something you would want to wear to dinner. Do you think foodie will be drawn to this clothing? Let us know in the comment section below.